Almost every birder who comes to the Shore has a general idea of what they would most like to do or most like to see. Many birders enjoy the unpredictable migration seasons, when just about any of the 439 species recorded here might show up. Others are keen to see specialty birds such as Saltmarsh Sparrow. And still others are looking for a prize —perhaps a species never seen before, or never before in Virginia. A must-visit destination during fall and winter, with full-time raptor monitoring September 1 through November 30. This 13,682-acre refuge is known worldwide for providing pasture rights to 150 semi-feral horses. 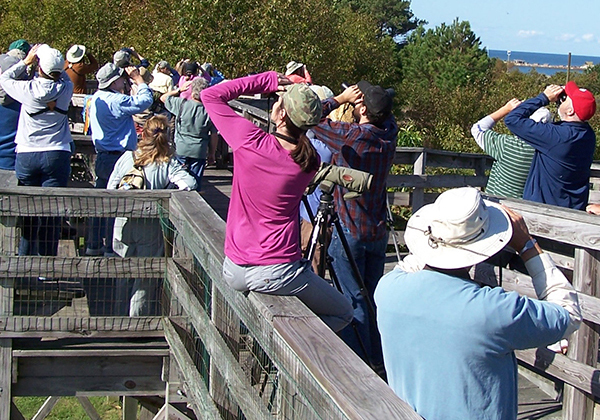 Eastern Shore Birding and Wildlife Programs, Inc. provides and promotes educational programs and events to enhance the appreciation and conservation of birds, wildlife and the natural environment of the Eastern Shore of Virginia.